Christophe Schmit is one of the founding partners of Accuracy. Christophe advises large corporations on some of their critical operations or decisions, including: international disputes, preliminary assessment of targets, due diligence, business plan preparation, business valuation, assistance to business restructuring. 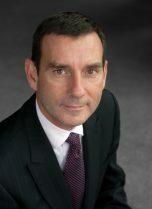 Prior to founding Accuracy, Christophe was a Partner of Ernst & Young in Paris (formerly Arthur Andersen) having joined in 1993. Christophe speaks French and English. Christophe has particular expertise in the analysis of facts from an economic and financial standpoint and in the quantification of damages. He has been involved in cases covering a variety of situations (breach of contract, construction claims, expropriation, market eviction, intellectual property, M&A) and industrial sectors (oil and gas, engineering, construction, infrastructure). On numerous occasions Christophe has given evidence in international arbitration cases and been subject to both direct examination and cross-examination. He also regularly acts as independent expert appointed by both parties in M&A disputes. Expert in a dispute relating to an alleged state aid. Drafted expert report and testified for a claimant in the Energy & Utilities sector. Acted for the Claimant as a financial expert appointed to assess the financial consequences resulting from an expropriation in the Oil and Gas sector. Financial expert in a post-M&A dispute (breach of representations and warranties). Drafted expert report and testified for the defendant in the Engineering sector. Financial expert in a dispute relating to a construction contract. Drafted expert report. Testified for the defendant in the Infrastructure sector. Economic and valuation expert to assess the losses claimed in an alleged breach of fair and equitable treatment (ICSID). Economic and financial expert in the context of private enforcement proceedings (various cartels). Assisted on the reorganisation of a large French energy MNC for the disposal of the reactor business and capital increase from the French State. Assisted a leading European industrial group in the context of the take-over by a leading private equity company. Regularly advise M&A operations of several large corporations including a French electric utility company, an energy service company and a large French rail transport MNC.